Topic: Christian teacher training needs to equip teachers to teach the head and the heart. After becoming a Christian in 1980, I began to understand the significance and importance of Christian teacher training. As God drew me closer to Himself, I joined a local church, Sunday school class, and a few small group Bible studies. Even though I grew from each of them, only one had a significant impact on my thinking and actions. At the time, I didn't understand what made the difference, I only knew that when this one particular teacher taught, my life changed. After a few years, I started my own high school Bible study. This was the first time I had taught the Bible, and it didn't take long to realize that changing the youth's beliefs, thoughts, attitudes, priorities, values, and actions was going to take more than information and explanation. I had never had any Christian teacher training, so I taught in the same way my school teachers had modeled for me over the years. Information and explanation are foundational to our teaching, but Transformation is the goal. Even though this method is great for teaching facts and theories, it is not the best method for teaching the Bible. As I studied the Bible, I began to realize that Bible teachers need to be trained to teach both the head and the heart. Certainly, Christian teacher training needs to include teaching methods that help them explain the text so listeners can understand and remember what the text says, but just as important, Christian teacher training also needs to equip teachers to teach the heart. Teachers need to know how to build a bridge from what listeners cognitively understand in their head, to their personal set of beliefs, views, actions, values, attitudes, priorities, hopes, dreams, opinions, prejudices, will, and commitments that are in their heart. Many times, listeners cognitively understand what the Bible says and how they can apply it to their life, but the truth stays right there, in that cognitive area of their head where they simply understand the truth. Christian teacher training needs to show teachers how to help listeners integrate the truths into their lives. Even though their class listens to and comprehends the lesson, that doesn't always mean they personally accept the truths and application as their own. At times, it seems as if some sort of roadblock keeps what they understand in their head from being accepted into their heart. Even though they understand the truths, concepts, and application, that doesn't mean they automatically believe them, accept them, value them, commit to them, and make them a priority in their life. 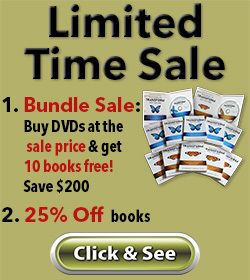 The Teaching To Transform Not Inform series addresses this very issue and can help you train your Bible teachers. The books are filled with simple, practical, step-by-step training that shows teachers how to teach the head and the heart, but with the emphasis on how to teach the heart. roadblocks hinder them from personally accepting it. 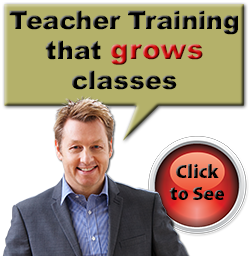 Christian teacher training solves the transformational riddle Include the 7 Ingredients of a Transformational Lesson in your Christian teacher training. Equip teachers to understand the difference between an InfoTransformational lesson and a Transformational lesson. Educate teachers to avoid you-should lessons. Christian teacher training Ground your teachers in teaching techniques that explain the text rather than offer proof-texts.